Content: There’s some bullying. This will be in the Newbery section of the bookstore. Before that (if I had ordered it in; why didn’t I?) it would have been in the Middle Grade (grades 3-5) section of the bookstore. Sometimes, fate works in ways that you have no control over. Virgil is shy, quiet, and the object of bullying at school. He doesn’t really stand up for himself, and doesn’t know how to change that. Valencia is deaf, but she doesn’t let that define her. Unfortunately, everyone else does. She doesn’t have any friends because of that. And Kaori, a budding psychic and fortune teller, is the one to bind everyone together. This is a sweet story of making new friends, of figuring up how to stand up for yourself. About fate and connecting to one another. And about not being alone. 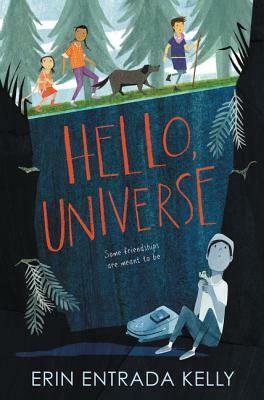 It’s delightful and even if I completely missed it before it was awarded the Newbery, it’s perfectly deserving of that award.